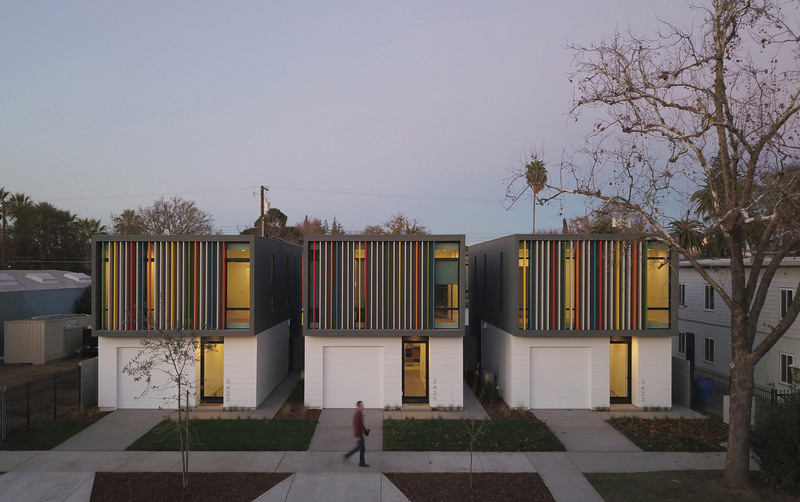 The Oak Park Housing development is an urban infill project in California designed by Johnsen Schmaling Architects for indie capital, an indigenous real estate development company, with a focus on residential infill development. 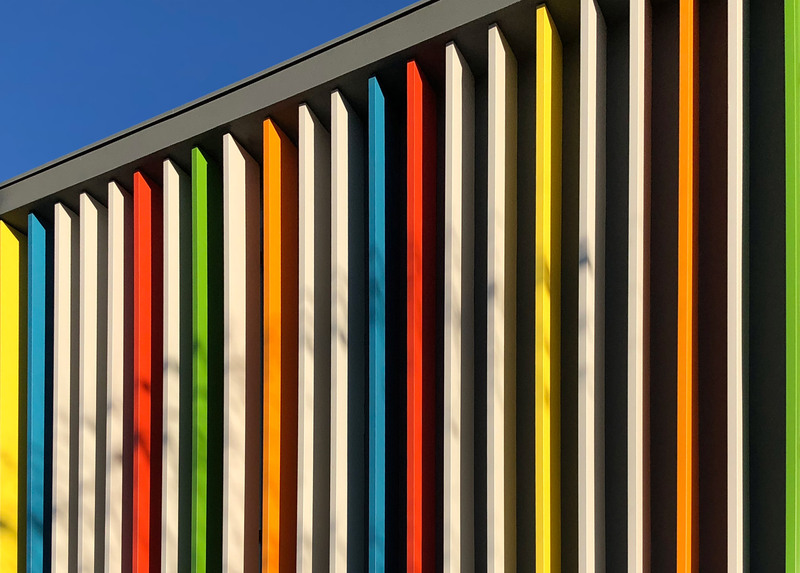 Located in a diverse neighbourhood that struggled for decades with economic stagnation and disinvestment, Oak Park is one of the area’s first residential developments in nearly 50 years. 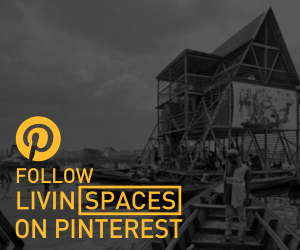 It consists of six, near identical, 140 sqm, wood-framed, 2 storey family homes. 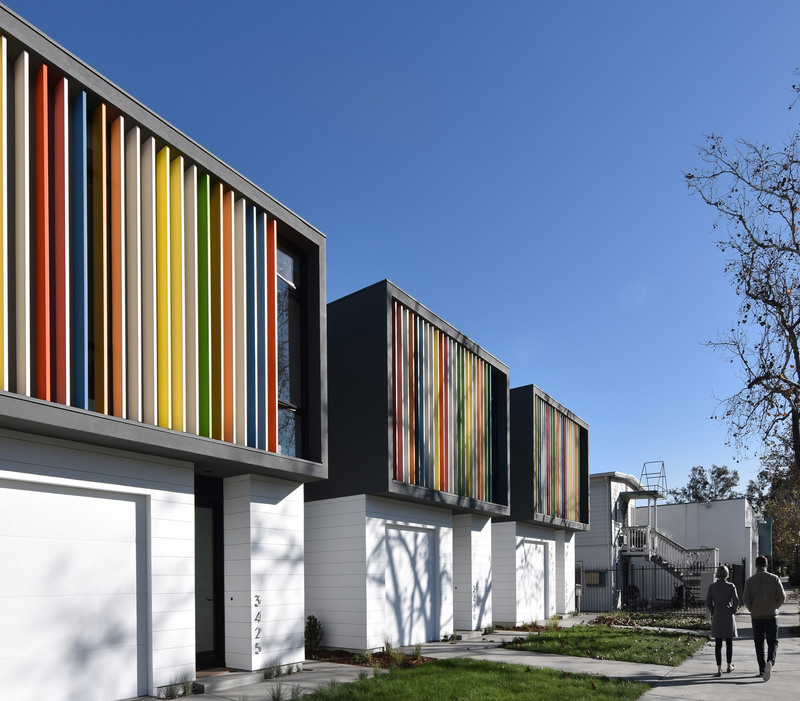 The modern homes feature a facade of prismatic fins set in vibrant colors inspired by nearby homes and murals. 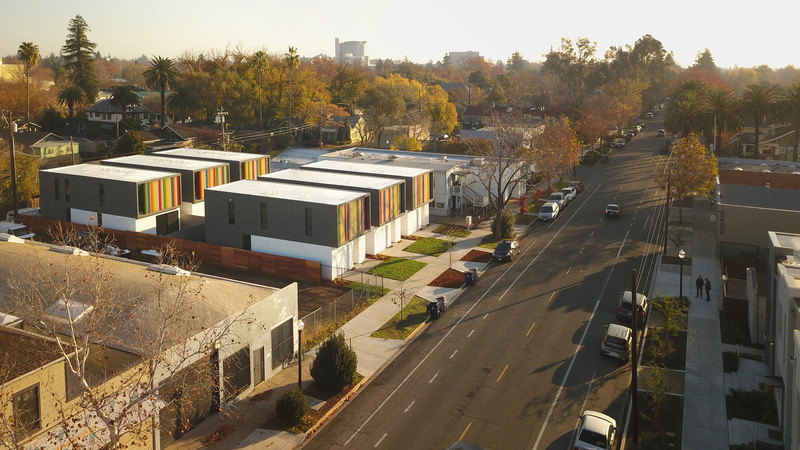 Oak Park Housing is a compact urban infill development on a long-vacant lot in Sacramento’s Oak Park district, a demographically diverse neighborhood that, for decades, had suffered from economic stagnation and urban disinvestment. 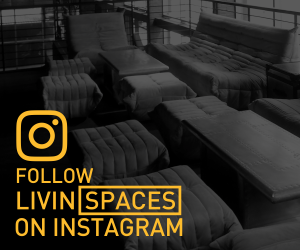 In recent years, young professionals, artists, and students have started to rediscover Oak Park as an affordable community close to downtown Sacramento, with new art galleries, independent coffee shops, and small businesses in tow filling abandoned storefronts throughout the area. 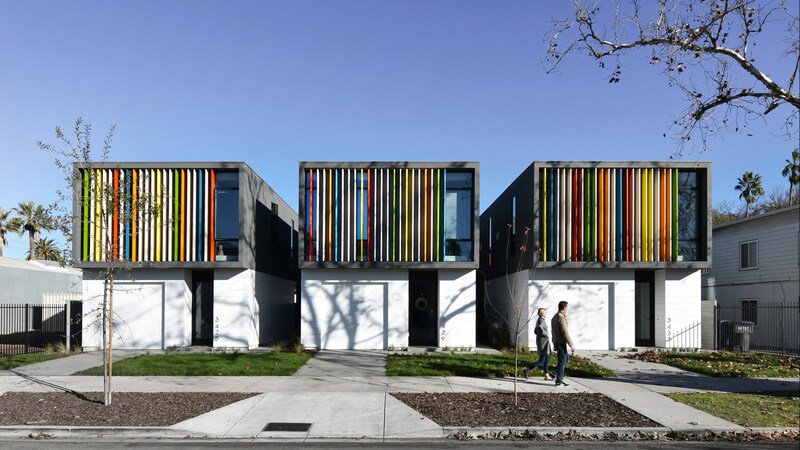 Oak Park Housing is one of the neighborhood’s first new residential developments since the infamous 1969 Oak Park Riots, which left lasting scars on the city’s social and physical landscape; accordingly, the project is more than just a contemporary addition to the existing housing stock: it is a harbinger of urban revitalization, its architecture cheerfully embracing the creative and buoyant energy that has propelled the ongoing renaissance of this vibrant and culturally diverse community. 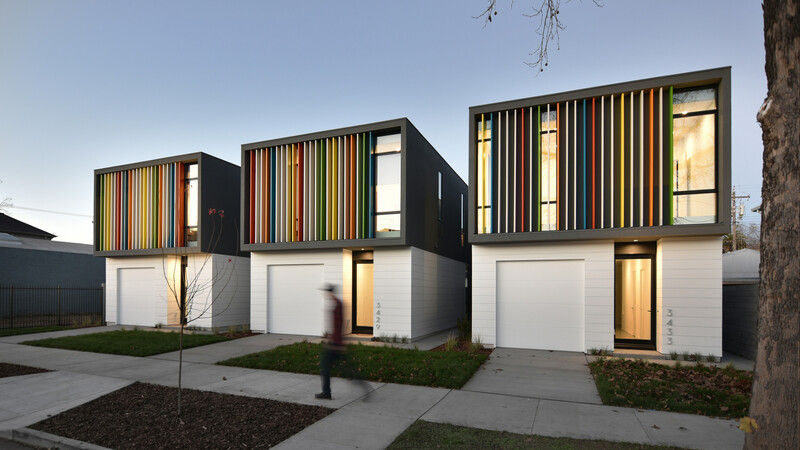 The project is a dense cluster of six small homes. 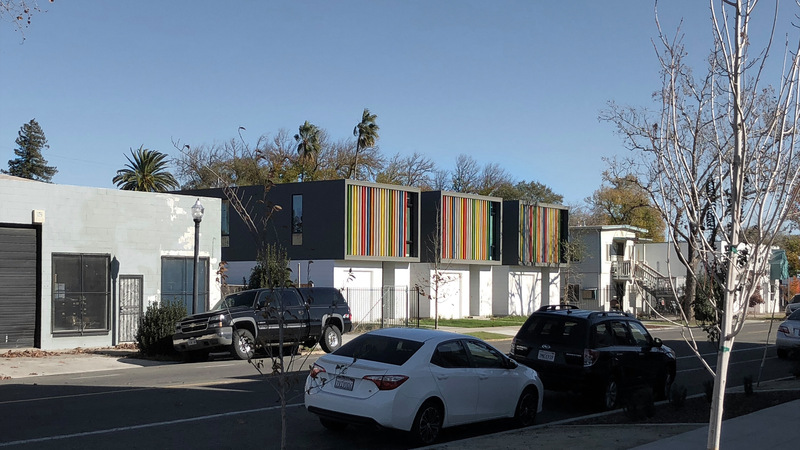 Carefully proportioned to echo the massing and scale of the area’s existing building stock, the houses are simple, two-story volumes, their appearance crisp but deliberately playful in a nod to the progressive and artsy spirit permeating Oak Park. 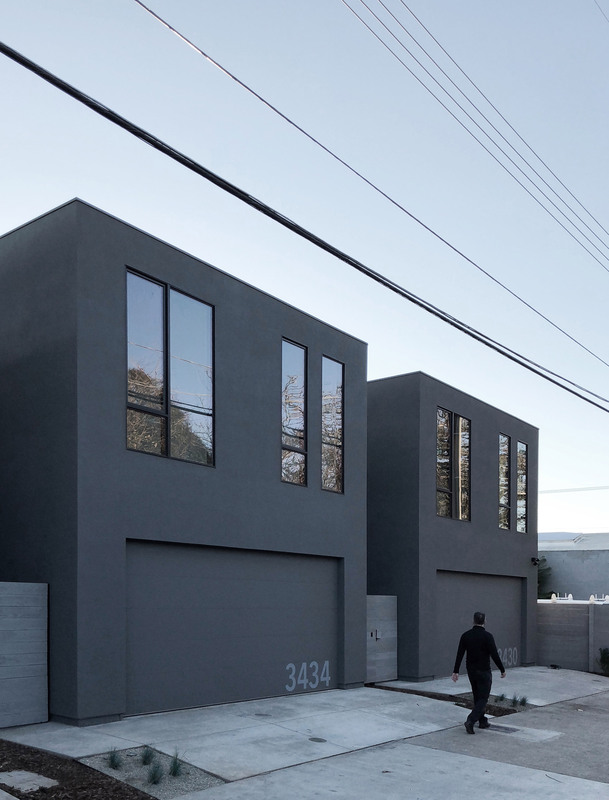 Three of the units are grouped along 2nd Avenue, where they repair the fragmented street edge and mend the ragged fabric of the block. 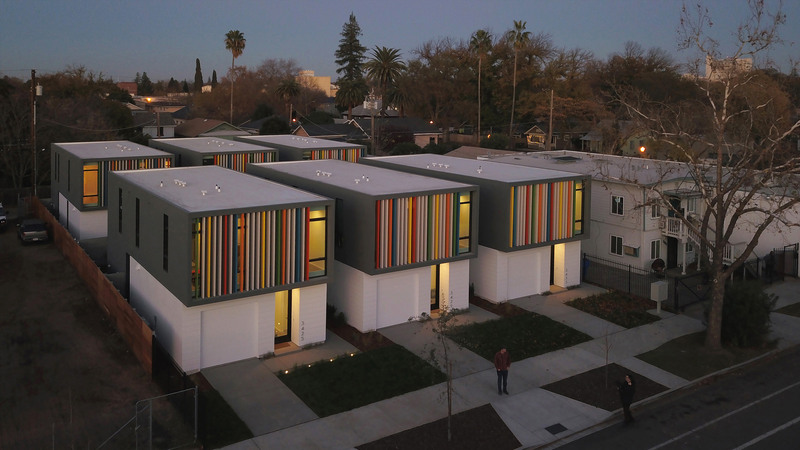 The other three homes are accessed from the public alley, continuing Sacramento’s unique typology of residential alleys that serve as active neighborhood pathways. 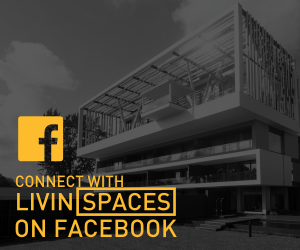 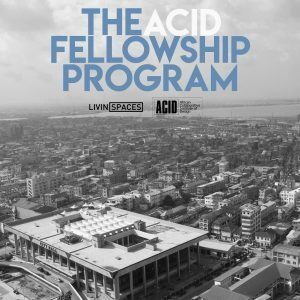 Designed around an ambitiously limited construction budget, each building has a living area of 1,503 square feet and consists of two interlocking components, a light-grey ground-level base and a darker, slightly cantilevered volume above. 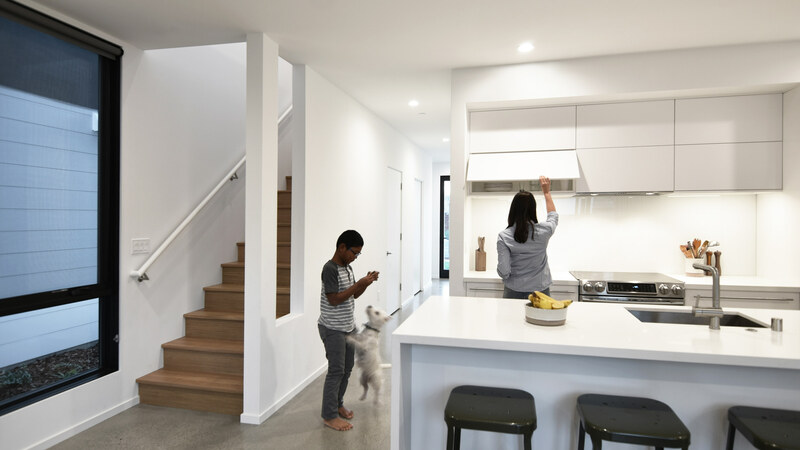 Kitchen, living and dining are consolidated as one open space on the main level, with stairs leading up to three bedrooms on the second floor. 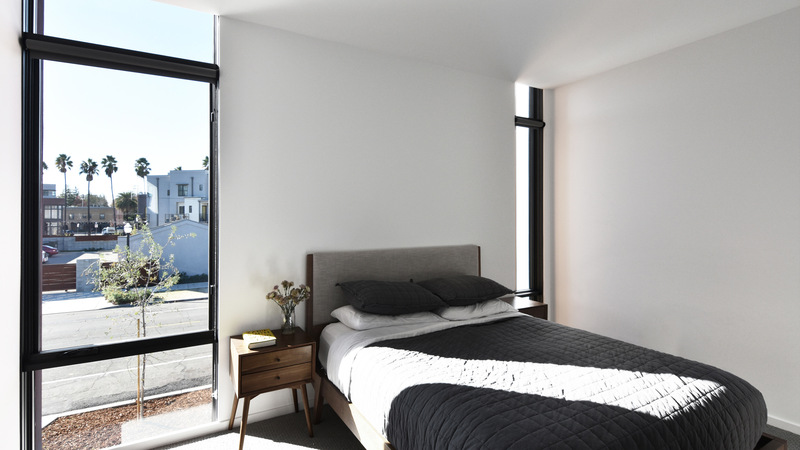 The simple exterior palette includes cementitious stucco and fiberboard cladding, complemented by the prudently sized and carefully placed floor-to-ceiling apertures. 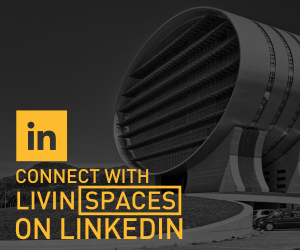 On the upper level, the south façade transforms into an articulated field of lacquered vertical metal louvers that act as both sun screen and compositional device. 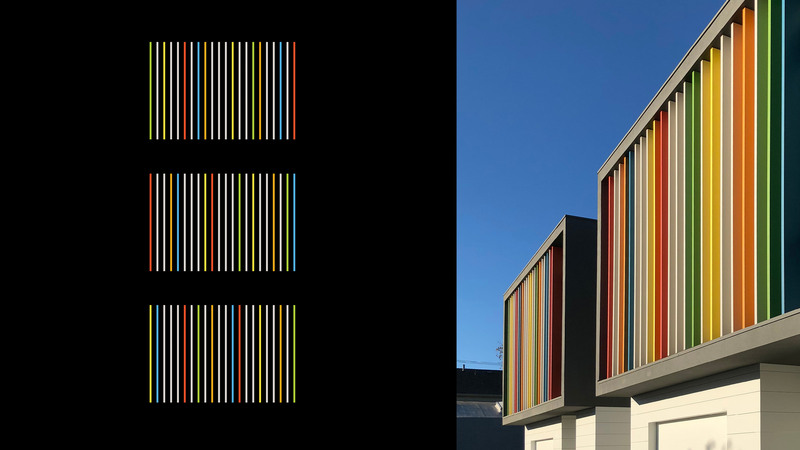 The metered spacing of the louvers sets up a deeply textured, dynamic cadence, their prismatic colors complementing the homes’ otherwise neutral, muted tones and cheerfully reverberating the vivid, kaleidoscopic hues of the buildings and murals nearby.